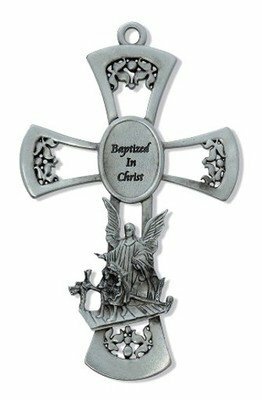 We have a wide selection of Baptism gifts, including treasured keepsakes, figurines, candles, shells, greeting cards, crosses and crucifixes, nightlights, guardian angel theme items, holy cards, picture and photo frames, books, rosaries, nightlights, dresses, suits and gowns, shoes, jewelry, godparent gifts, bibles, blankets, socks, bibs, onesies, toys, stuffed animals, dolls, baby pins, etc. Check back online...we will be posting more items! If you don't see what you're looking for online, please contact us. 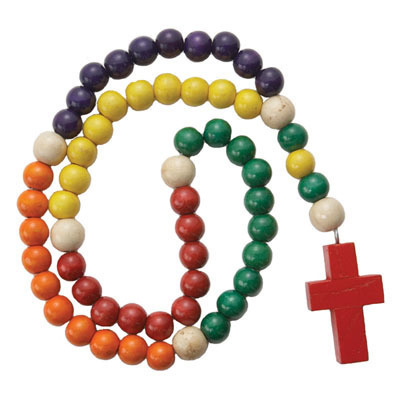 We most likely will have it in our brick and mortar stores and will be happy to ship to you. 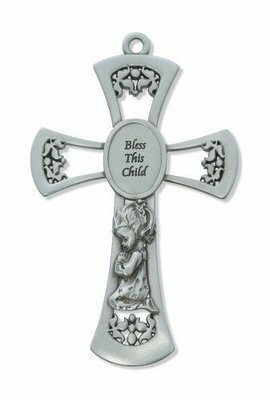 Baptized in Christ Guardian Angel Cross 6"
Bless This Child Pewter Cross (Girl and Boy design) 6"